I am linking up this morning with Sarah at Confessions of a Fabric Addict on her Hands to Help Page........this is the 7th year for H2H and my second year joining them. If you haven't heard of this worthwhile cause I invite you to check it out! 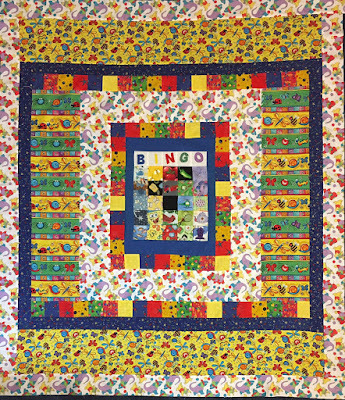 My inspiration for this little lapquilt I am making was a bingo block that my Sis and I each made for a May for Me celebration a few years ago. I liked the bright colors and hope it will help a child undergoing chemo to stay a little warmer. I will be sending this to Happy Chemo when it's finished. I just started with the Bingo block as the center and built out from there. The backing will be the same fabric I used on the second and final rounds. Click here to check out the other link-ups! Happy Easter my friend and what a lovely thing to do ,the children will love getting this blanket,well done. Oh, Iike what you've done with the BINGO block. I know someone will love wrapping themselves up in this cute blanket. Someone very special is going to love this quilt. It will give lots of quilty hugs. Happy Easter. Such a cute blanket to comfort a special little person and wrap them up in hugs. So very sweet! I think someone is going to be so lucky to receive this quilt. This is my first year doing a quilt for Hands2Help. Most of my charity quilts go to Project Linus, but I thought this looked like a great cause. I will have to check it out, thanks for the heads up...great going on your quilt. Your quilt is cute. I saw they had new lay outs but I spent so much time making my header I was afraid of trying it. 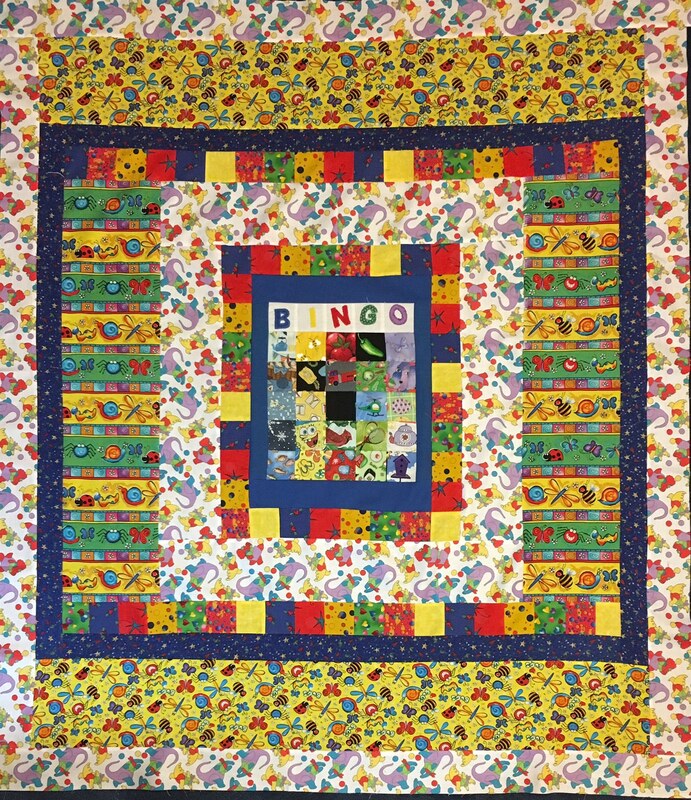 What a bright fun quilt that will provide some comfort and entertainment just looking at all the wonderful prints in it! I'll have to check out the new layouts someday...maybe. I am too terrified to make any changes. I love the idea of using your BINGO mini for the center. That turned out so cute. It is a lovely bright quilt. Good on you. I am just catching up on blog reading. What a lovely happy quilt! I hope you had a great Easter and that life is good. This is such a beautiful quilt, Ida! Thanks so much for being part of H2H 2017!! Another top for H2H and I have a new toy!